Our organization has gained recognition as a flourishing organization by offering Theoretical Collegian Cream. In formulation of this chemical, our experts utilize the finest grade ingredients and advance technology under strict adherence with the set industrial norms. With a firm commitment to provide our valuable customers a wide assortment of products, New Amar Products from 1965 is manufacturing a quality assured collection of Herbal Creams. We have assorted Ayurvedic Creams, Herbal Creams, Cracked Heal Cream, Foot Cream, Skin Cream, Acne Pimple Cream, Skin Softener Cream, Fairness Cream and many more. Offered collections of these products are made by employing qualitative ingredients and progressive technology at our modern processing unit. These products are highly admired by the clients for their accurate composition, long shelf life, nontoxic and high purity features. 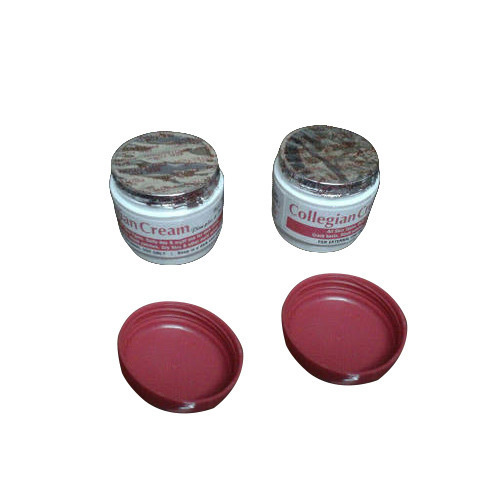 Our offered herbal creams are highly demanded by the customer for the skin problems.